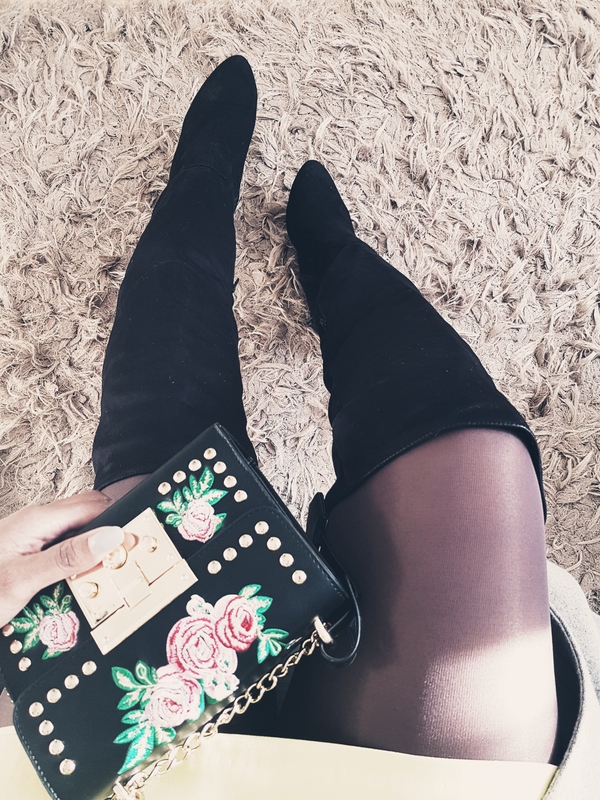 How to keep your thigh high boots thigh high. Hey guys..do you suffer from skinny calf syndrome like myself? Do you find that your thigh high boots keep falling down?? My problem is that I have to buy a UK size 8 or 9 shoe to fit my big feet but then the calf doesnt fit well.😌. So there is my little hack of getting them boots to stay up where they need to be. All you need to do is tie a scarf around the fullest part of your calf. This will create some resistance if the boots want to slide down. Hence preventing your thigh high boots from falling. This can also be done with a small hand towel. The best part is that it can also keep you warm. Thigh high boots that actually stay thigh high. Do let me know if the above works for your. Or if you have alternative tip’s please share.